Today we’ve added the ability to switch the position of videos in slices. 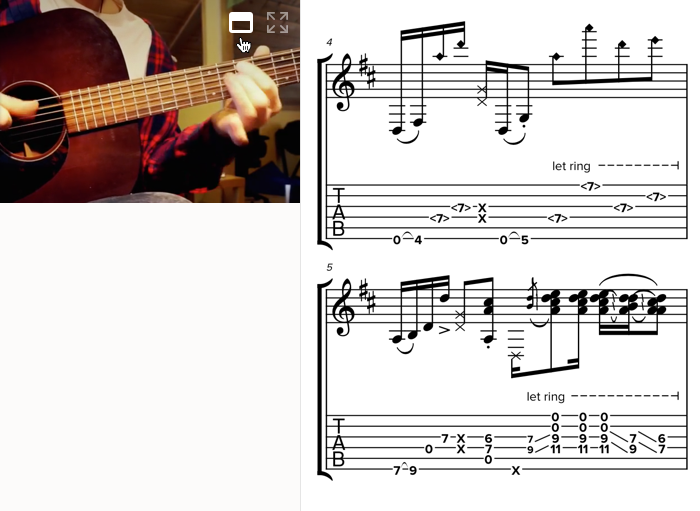 Simply click the new icon to toggle whether the video is above notation or to the left of it. Previously, our player automatically positioned videos based on your screen size. For example, we always put the video above notation if you’re viewing Soundslice on mobile devices or viewing somebody’s channel post. Now, you can toggle its position based on your own preference. 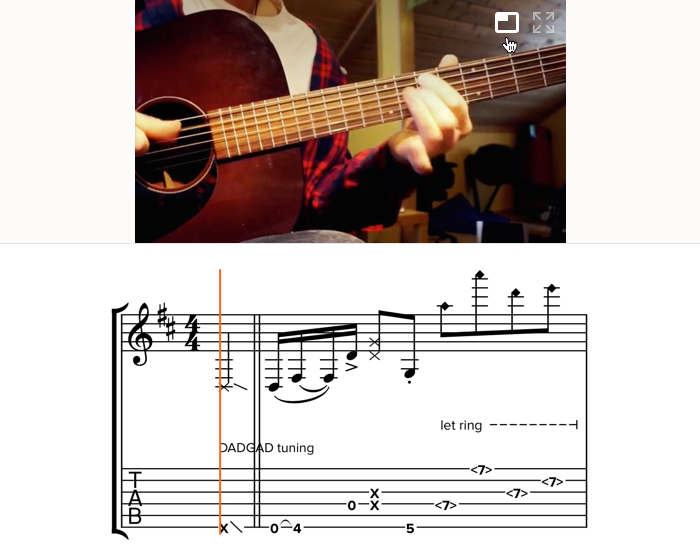 Seeing music being played alongside notation has always been a key feature of our player. Now you can place the video in the best place for you to learn.